A highly energy efficient fan convector that fits into a plinth of a kitchen unit eliminating the need for conventional radiators.This brings considerable space saving to allow you to design your kitchen. 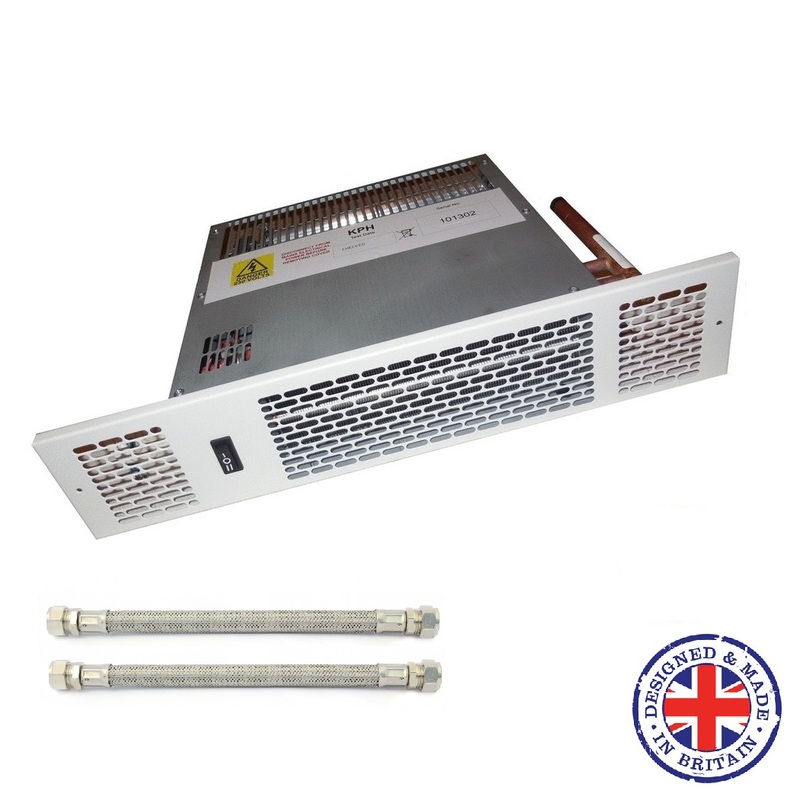 Kitchen plinth heaters are predominantly used in domestic applications where the plinth mounting feature makes it ideal for heating kitchens,utility rooms and bathrooms. Kitchen plinth heaters are also suitable for certain non domestic applications such as office reception areas, changing rooms, libraries and small convenience shops. 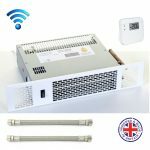 The heater automatically switches on and off whenever the central heating system is running. 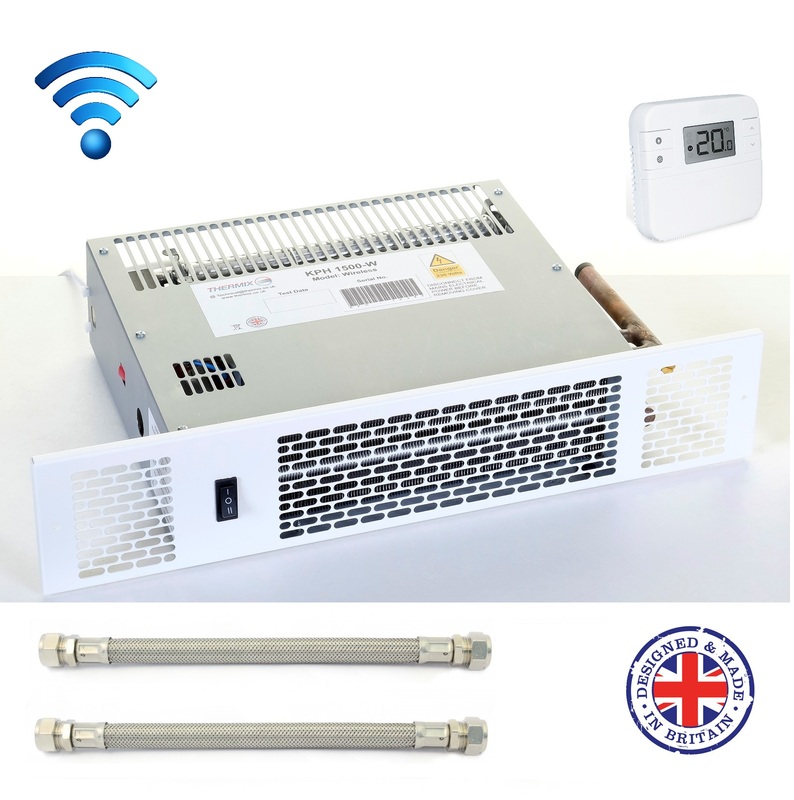 As soon as the water temperature flowing through the plinth heater reaches above 38°C the internal sensor switches on . 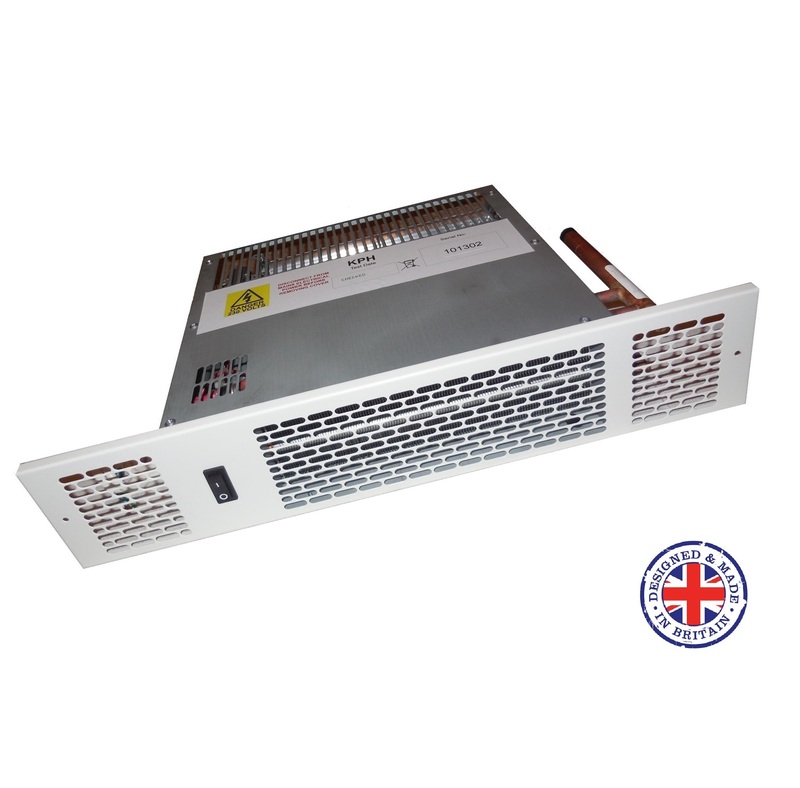 Once this happens air is drawn by the fan and blown through the heat exchanger producing warm air into the room. If you need more heat all you do is switch the fan to boost which will push more hot air into the room. 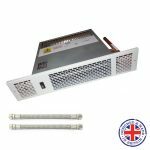 This kitchen plinth heater is a very easy to install. It can free up more usable space for kitchen units where an old existing radiator may have been fitted. Copyright 2019 © Thermix. Website by Skie.